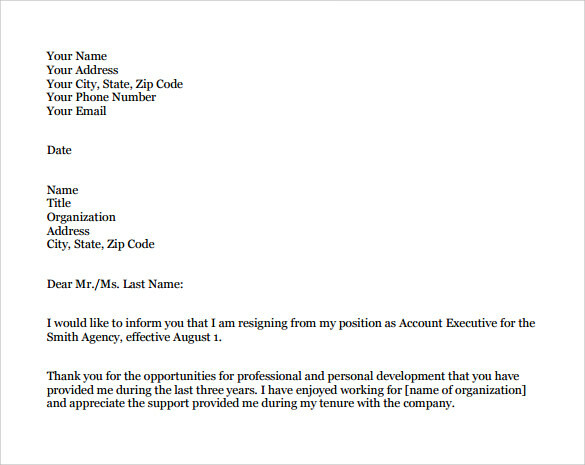 To move on from one company to another is not a subtle process and a Formal Resignation Letter can be a gentle reminder of your purpose and for stating the reason for leaving the job. 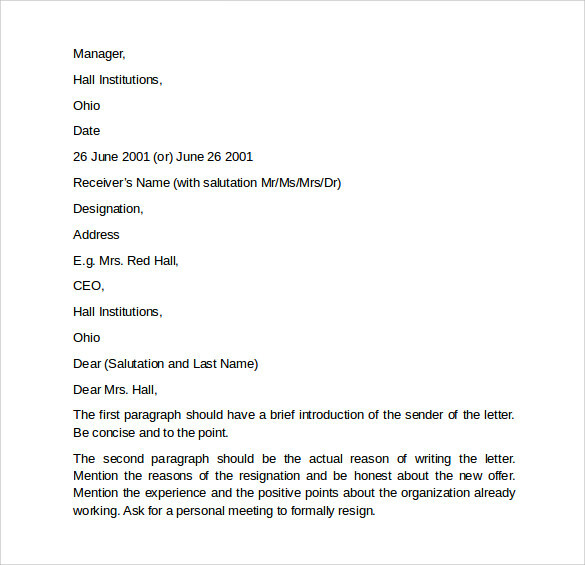 It is a great way to express any problematic situations faced, as it does not involve direct interaction with the employer. 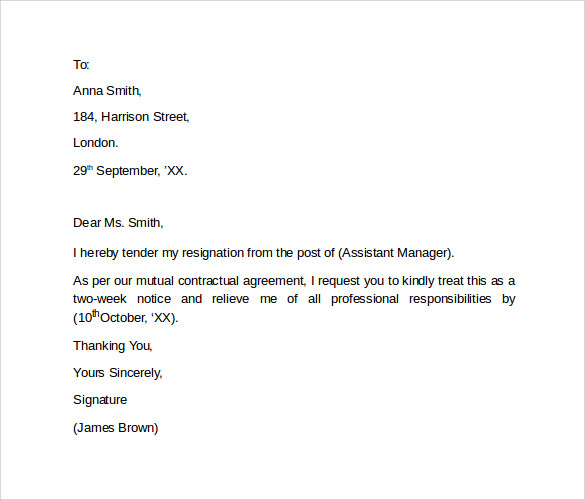 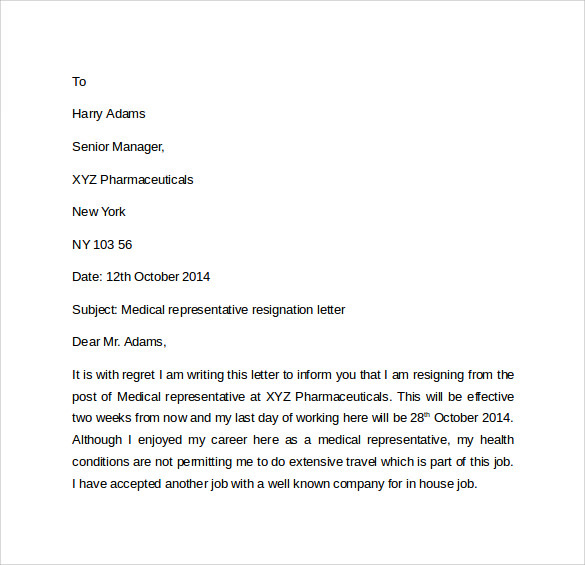 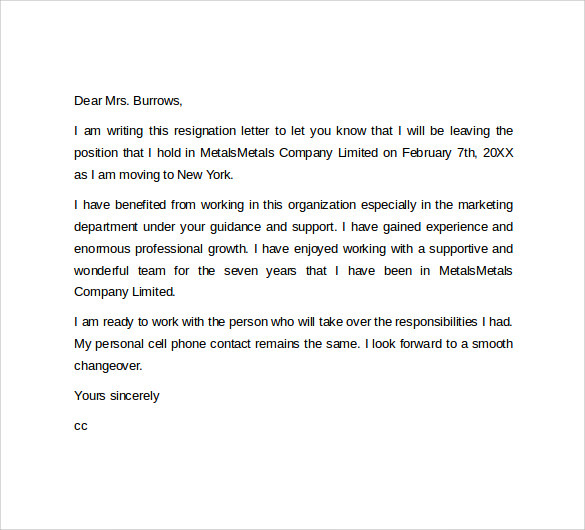 If you’re perplexed of the format for that appropriate resignation letter, have a look at our distinctive templates which are easily downloadable in formats like PSD, PDF, MS Word, etc. 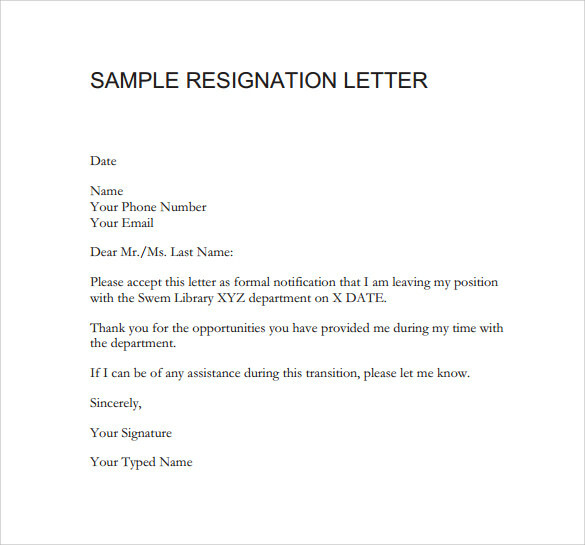 The resignation letter templates formats are easy to handle and can be used according to your convenience.